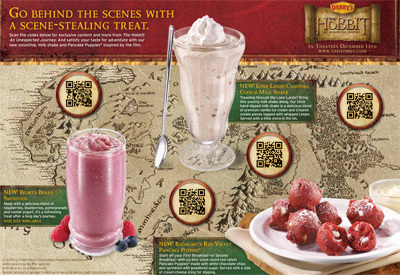 Family restaurant chain Denny's is using QR codes to deliver content for the upcoming movie "The Hobbit" as part of a promotion campaign with Warner Bros. Pictures. On Denny's placemats there are QR Codes beside Hobbit-themed menu items. The QR codes link to an exclusive video, "The Hobbit: An Unexpected Journey", a behind-the-scenes look at a new national TV ad, and online games. "Our Hobbit campaign and accompanying QR codes allow us to give access to a much more robust array of content and really give our guests a new layer of the brand experience. QR codes are especially relevant in interacting with the next generation of Denny's guests, specifically the younger demographic where social media and the mobile experience is an important part of their everyday lives." said John Dillon, VP of Marketing at Denny's. Denny's customers who purchase select Hobbit-inspired entrees will also receive a card pack including exclusive collectible trading cards designed around the film and Denny's coupons. "QR codes are highly transactional and we saw an opportunity to use them in a very meaningful way to further connect and extend the guest experience with this new partnership...With our Hobbit campaign, we want guests to 'continue the journey' at Denny's." said Mr. Dillon. This October, at retail giant, Target, customers can scan the QR Codes displayed in-store and on the packaging of this year's 20 most popular toys to buy them directly via their smartphones (and have them shipped too if needed). 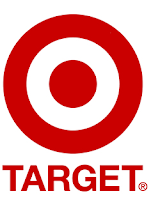 This is most convenient for consumers when the popular toy item runs out of stock or if the customer is too busy or doesn't want to battle the long line ups at the checkout counter. "...our guests are time-strapped and more connected than ever." "One in five are using QR codes today and that number is growing rapidly." 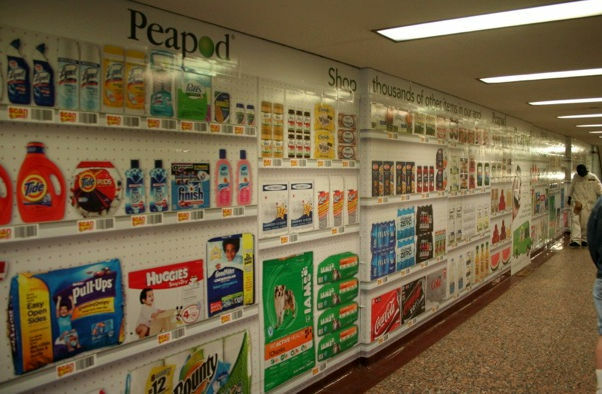 "They [QR Codes] provide guests with flexibility and expand their shopping experience." "Our in-store QR codes for this year's top toys will add real convenience for busy moms. 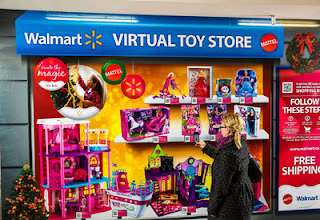 Now, rather than hoping the kids won't notice when a gift is slipped into the cart, guests can scan the QR codes to buy top toys and have them shipped anywhere for free." 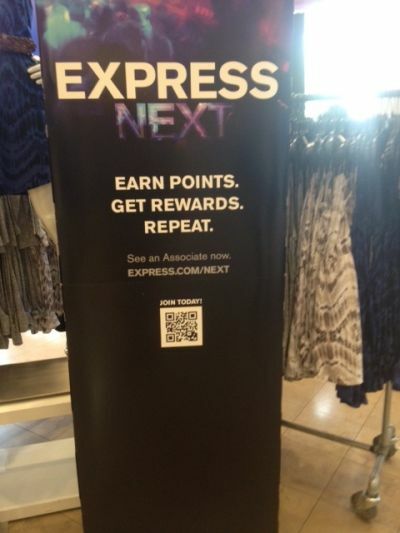 Fashion retailer, Express, is using QRickits on in-store posters and window decals to encourage shoppers to join its loyalty program. When scanned, shoppers are directed to the Express mobile site where they can sign up for the program or to gain extra reward points. Employees are trained to help shoppers scan the QRickit with their smartphones. Oftentimes, shoppers leave the store and forget to sign up for the program later, but by encouraging shoppers to sign up while at the store using their smartphones will help prevent such cases. Last year Express also used QRickits in its fall catalog to promote online and offline sales of its new product lines.